There’s nothing to beat customer happiness and recommendations, but it’s also rewarding to be recognised by industry professionals. And BuildingWorks has enjoyed success in this area from the time it was launched. 2019 is already looking good. BuildingWorks, part of the HBXL Group, has won Best CAD Software Provider & Most Cutting-Edged Construction Software Platform in the M & A Today Global Awards. The M & A Today Awards are globally recognised involving voters from 163 different countries identifying those at the top of their game. An Independent panel of judges were asked to judge nominees on a variety of skills; concentrating on strategy, complexity and innovative ways of working. Any groundbreaking or innovative processes used during completion of conducted work. The judges are asked to focus strongly on the complexity and strategic significance of work conducted. BuildingWorks was also shortlisted for ‘Software as a Service for Small to Medium Businesses Solution of the Year’ in the 2019 European IT & Software Excellence Awards. Now in its 11th year, these awards are given for IT solutions that get to the heart of customer issues, delivering better business, a clearer understanding of data, and more efficient and profitable outcomes. 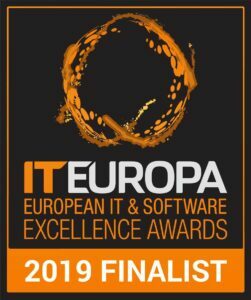 The event is considered the leading pan-European awards for resellers, ISVs, Solution Providers and Systems Integrators and their vendor and distributor partners. “This was a record year – both in the quality and number of entries,” says John Garratt, Editor of IT Europa and head of the judges’ panel. “It was particularly interesting to see the numbers really tick up in the innovation categories. There is a lot of new thinking being done as to how technology can make a real difference, and it is happening right across Europe.” The judges, with many decades of experience of IT industry involvement between them, considered companies that reflect both the strength of Europe’s IT industry and many of the changes in direction occurring within it. For more information on BuildingWorks integrated construction software speak to the team on 0117 916 7880 or start an instant unlimited trial for 30 days here.